For this years North Island champs we gate crashed the Napier Sailing Clubs summer Regatta. The club ran two courses with Optimists, Trailer Sailers and of Paper Tigers on the inner course, and Lasers sharing the outer course with a good fleet of OK's. We had 7 races of Champagne sailing in the Hawkes Bay sun. Each day started with a light race then strengthed to around 10 to 13 knots. Classic oscillating sea breeze and compressed fleets meant the slightest mistake was punished. 21 boats in the Standard fleet. Won again by Andrew Delabarca followed by Kent Copplestone - both from Worser Bay. In 3rd was Stu Fanshaw from Thames who is new to our regattas - but we hope to attract him back for the Nationals. 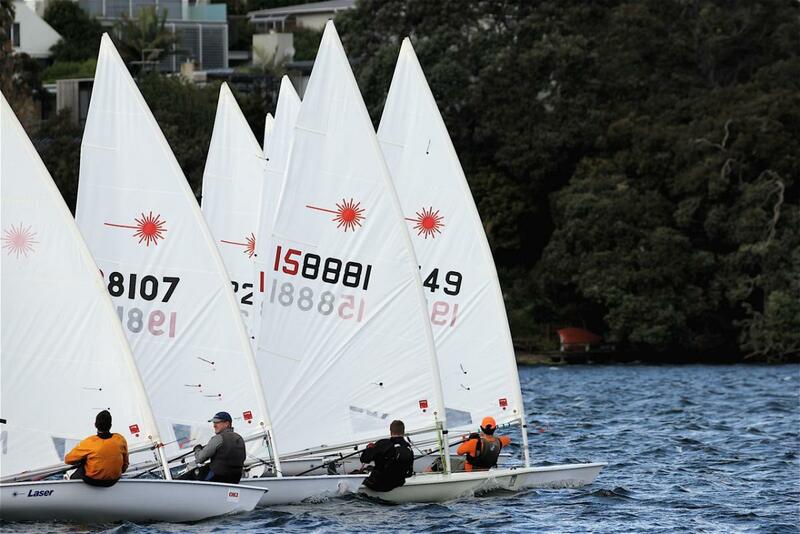 Won by master Edmund Tam from Worser Bay followed by youth sailors Matthew Hughes from Murrays Bay and Michael Cressey from Napier Sailing Club. Kevin Welsh from Panmure and Bruce Jones were 2nd and 3rd masters. 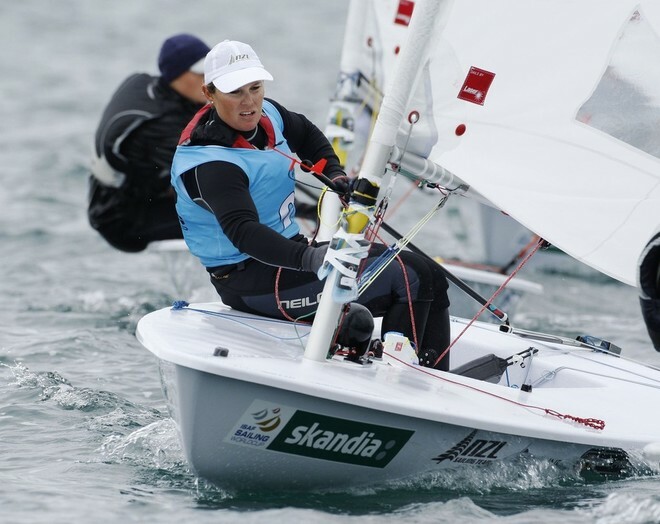 Laura Lowther from Royal Akarana was the leading Radial female. Followed by local sailors Gill Waiting and Jo Morrel. Many thanks to Mike Shields, Paul Redman and commodore Barry Kerr for having us at Napier. And to Clive Snow and his on the water team for running very slick races. The regatta was a great teaser for the National Champs when we are back at Napier from 16th to the 20th of January 2013. There were good SW winds breezes for the North Shore Freshwaters at Lake Pupuke. But cold at times in the rain squalls. Blair McLay dominated the Standard fleet, leaving the interesting battle for second with Mike Keeton (2012 Radial Grand Master World Champ) pipping Scott Leith (2012 Radial Apprentice Master world Champ). The Radial fleet was a little depleted this year. 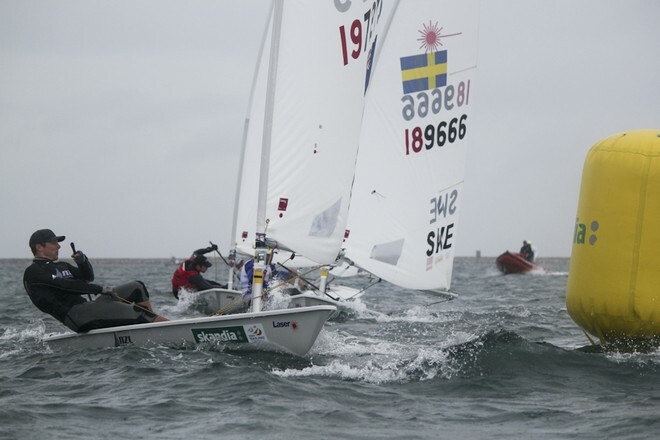 Pete Thomas (3rd Radial Master at the 2012 World Champs) won a close battle with youngster Jacob Miller up from Cambridge followed by Jeff Coffin from Panmure. Thanks to Garth, John Dowsett, Dave Lowe and the Pupuke boys for hosting us.